Solid answers to interview questions can land you the job. 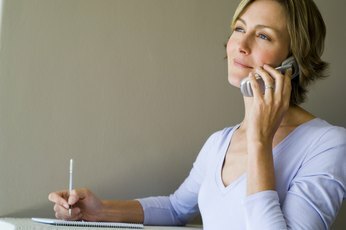 Many nurses find themselves anxious about job interviews. Instead, think of an interview as an opportunity to reflect on your current skills and the chance to develop new skills, should you land the position. 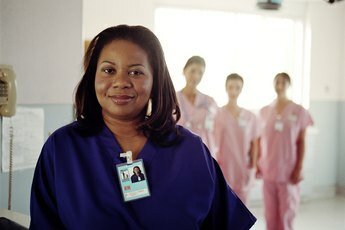 Walking in with a positive attitude goes a long way toward scoring the job because nurses who show confidence are likely to adjust well to a new position. 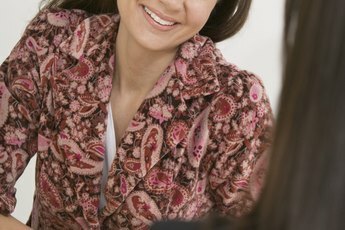 Consider a job interview as a give-and-take conversation, rather than an interrogation. Whether a human resource officer or a nurse manager, the interviewer wants to know what makes you tick. Prepare to be asked why you are a nurse, how you cope with stress, and routine questions such as your availability and shift preference. Explain the joy you receive from providing excellent care and the intrinsic satisfaction you get from doing your best. If you aren't prone to getting easily stressed, say so. Describe your availability honestly or it could haunt you down the road. Study the facility before the interview by visiting its website, walking the halls, and talking with anyone you know who works there. If it helps the poor, be prepared to explain that social equity in health care is important to you. If the facility has cutting-edge technology and procedures, be ready to explain the importance to you of providing the best care possible. Interviewers want to know why you are seeking a job, as in "Did you just get fired from the last hospital?" Nurses who "lose" medication, mistreat patients, or fail to get along with coworkers are nightmares for employers. Be prepared to explain the circumstances of your leaving your last position. Moving is always a good answer if that's what you did. You can explain that you wanted to seek a new challenge, provided that you were at your previous employment for at least a year. You may be asked if you experienced nursing burnout, your favorite and least favorite nursing tasks, and how you dealt with difficult patients. Practice answering each of these questions with a friend so that the answers will sound articulate and appropriate when the interview day arrives. You'll no doubt be asked where you see your nursing career going. Answering these questions can be tricky. Avoid sounding like you already have one foot out the door. If you feel the need to express a desire to improve your rank, make sure your aspiration matches a position that exists at the facility. Job turnover is a huge issue to health care facilities, costing them a great deal of money, and your answers to these questions can be the deciding factor in hiring you. You really get a chance to shine when you're asked questions about your unique skills and experiences. Mention your leadership abilities, your strong problem-solving skills and all skills pertinent to the job, such as working with specialized equipment, solid computer skills and the ability to read electrocardiograms. Explain that, while you work well independently, you are also able to function as a valuable team player and have no problems taking direction from a supervisor. Be prepared to tell a quick story that summarizes you as a nurse, such as the time you accepted a patient other nurses didn't want, or you discovered the cause of a serious illness by closely monitoring a patient.